Fun red carpet event for the last season premier for Mad Men Tv show. I took this photo from above where you can see all the media photographers and video crew taking photos. I was hired to photograph the details of the event and Patina Catering to photograph the food they were serving to all the guests. 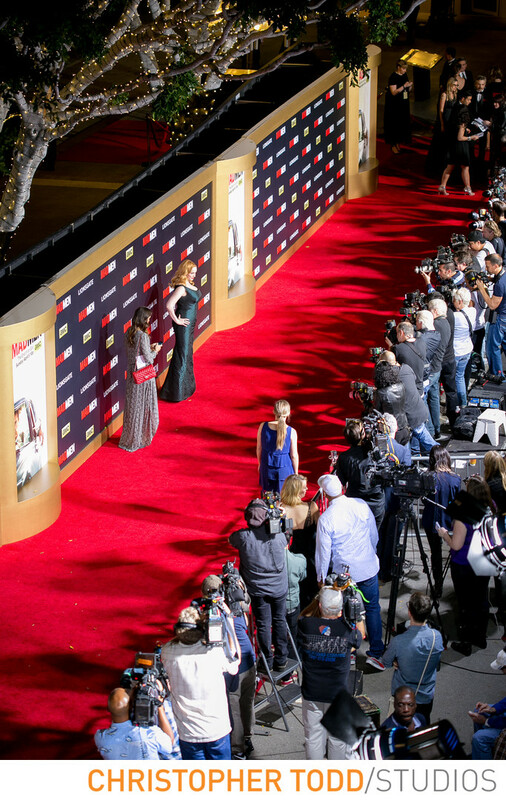 This was a true hollywood event full of luxury. Location: 135 N. Grand Ave Los Angeles, CA 90012. 1/100; f/3.2; ISO 800; 100.0 mm.